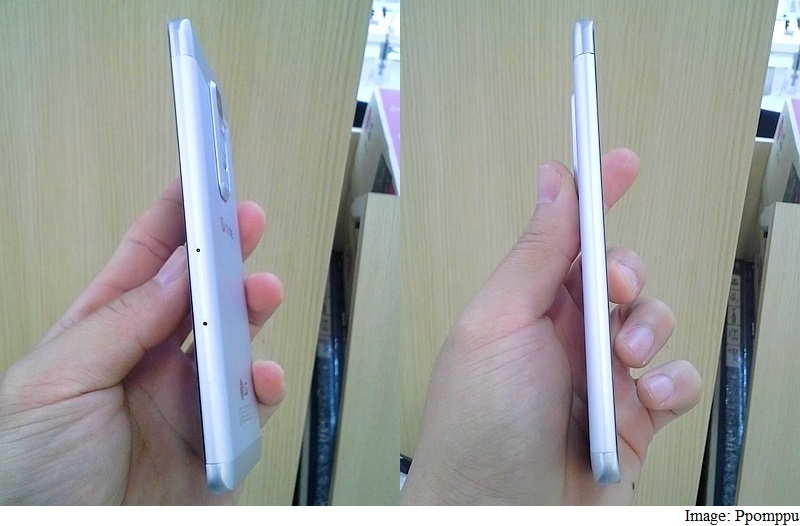 LG earlier this week teased a smartphone launch for Monday with an image showing the back of a metal-clad smartphone. Alongside, a report of a device codenamed LG H740 being listed on benchmarks hit the Web, while another publication tipped the LG H740 and handset LG is launching on Monday are one and the same a mid-range phablet called LG Class. 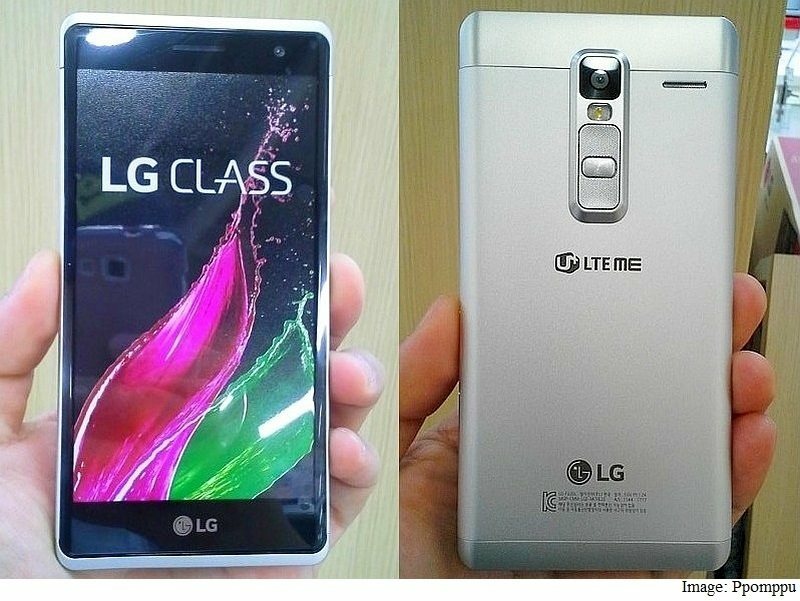 Now a set of leaked images have surfaced on the Web purporting to show the LG Class smartphone from all sides. Some specifications have also been tipped for the smartphone, however, these do not match those listed on benchmarks for the LG H740. As per the leaked live images shared by Ppomppu (via GSM Arena), the metal-clad smartphone features wide screen bezels at top and bottom. The front-facing camera with speaker grille at the top and the LG logo at the bottom are also visible. The display mentions the handset name ‘LG Class’. The rear panel has the LG logo towards the bottom and LTE branding below the camera module. Since the buttons are placed at the back panel, the two sides remain completely button-less. However, the right side appears features a microSD card or a SIM card slot. Other than the design seen in the images, the smartphone is said to sport a 5-inch display, and support LTE networks. It is reportedly also being made for LG U+, a South Korean network carrier. Rumoured to be priced at KRW 400,000 (roughly Rs. 22,600), it is not yet known if the handset would reach other markets or not. It is worth noting that since that if the specifications are correct, the LG Class handset is not the LG H740, as the later featured a 5.7-inch display in the GFX benchmark listing. Apart from the September 21 event, LG has also confirmed an event on October 1 in New York where the company is likely to launch the much-rumoured V10 smartphone. Based on preliminary leaks, the LG V10 is said to feature an ‘auxiliary ticker display’ like the Samsung Continuum smartphone, which was launched back in 2010.